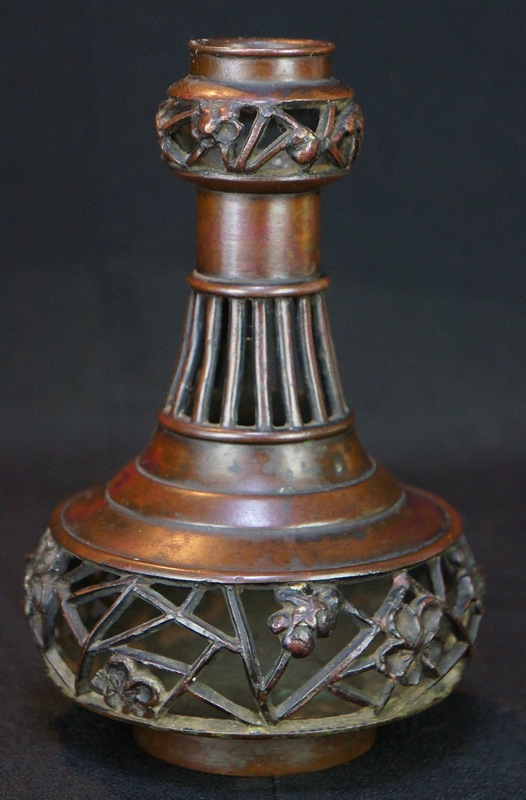 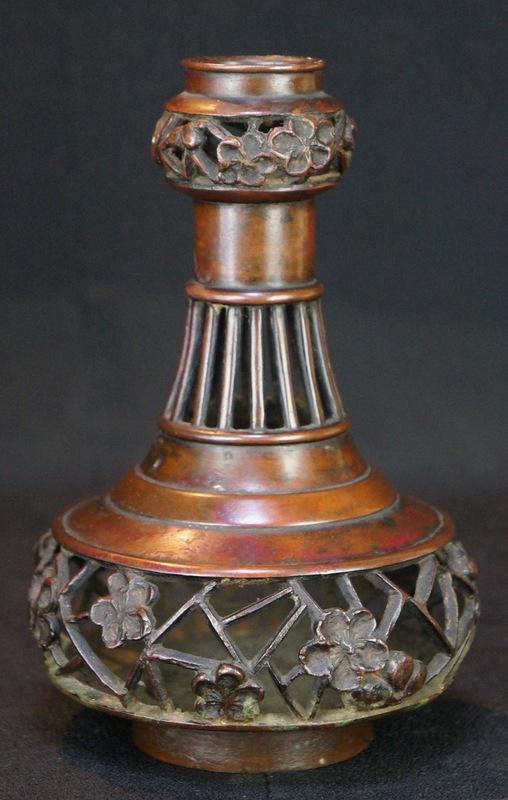 Antique Japanese bronze Kabin vase sculpture 1880s Japan Ikebana art. 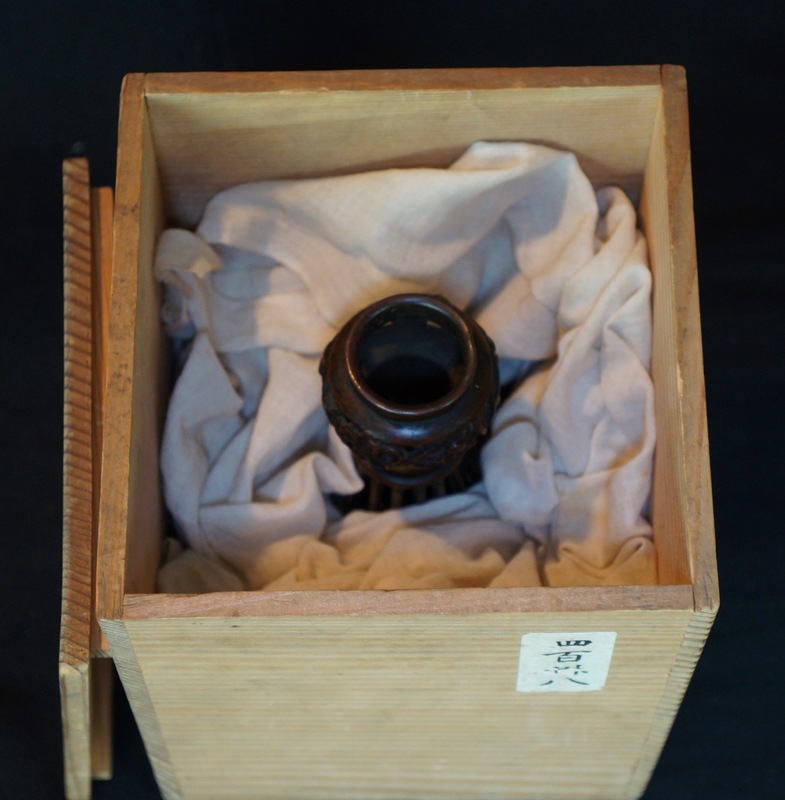 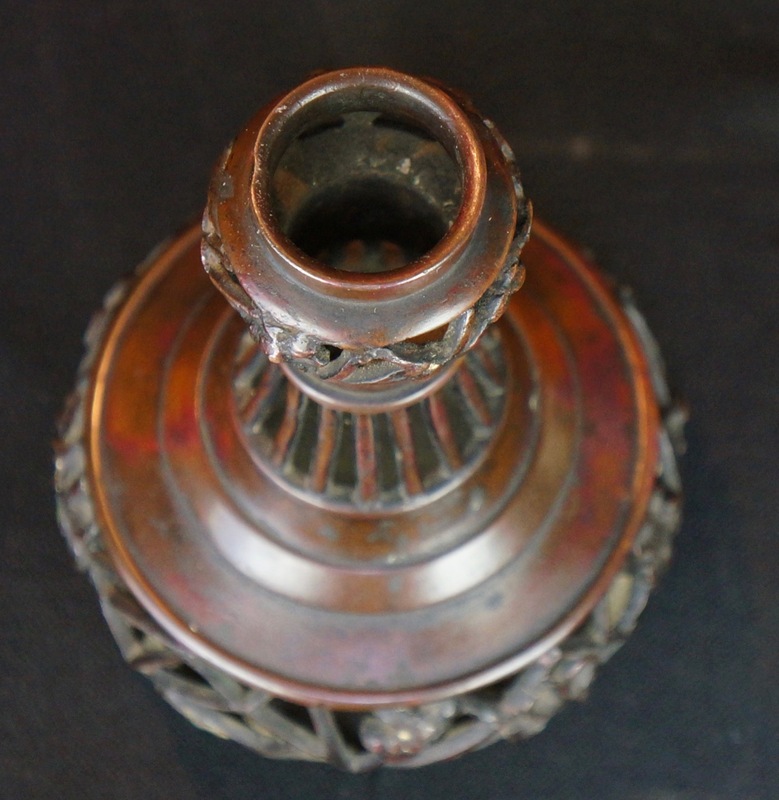 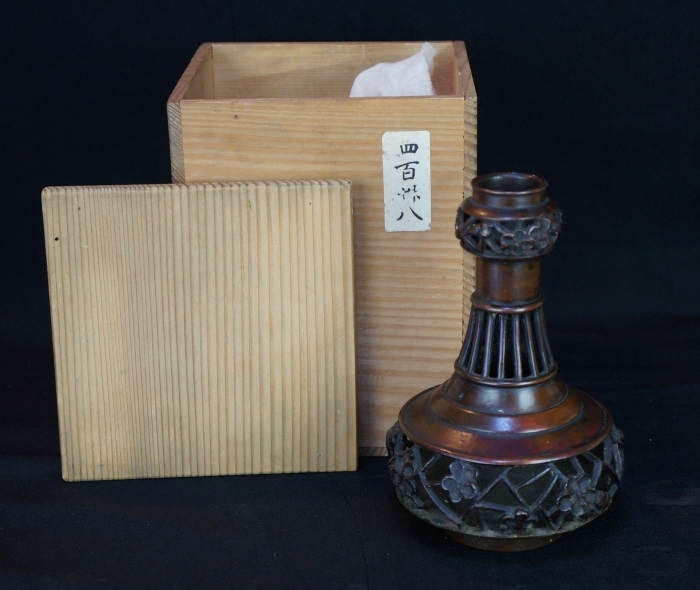 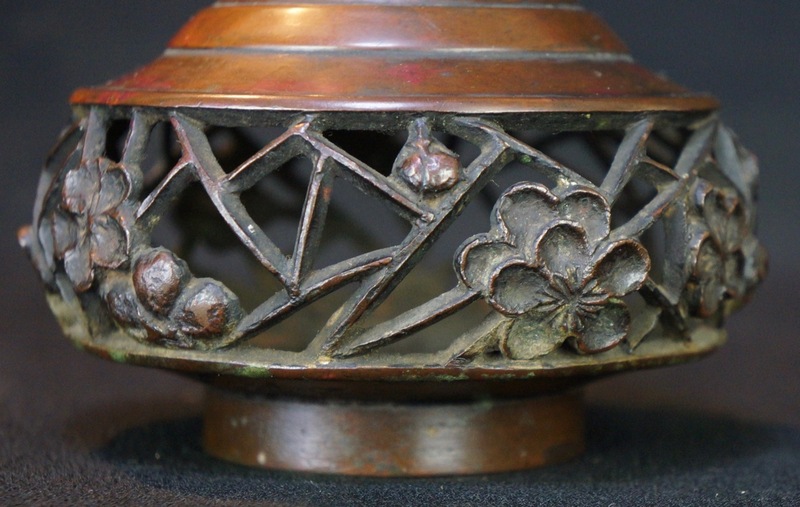 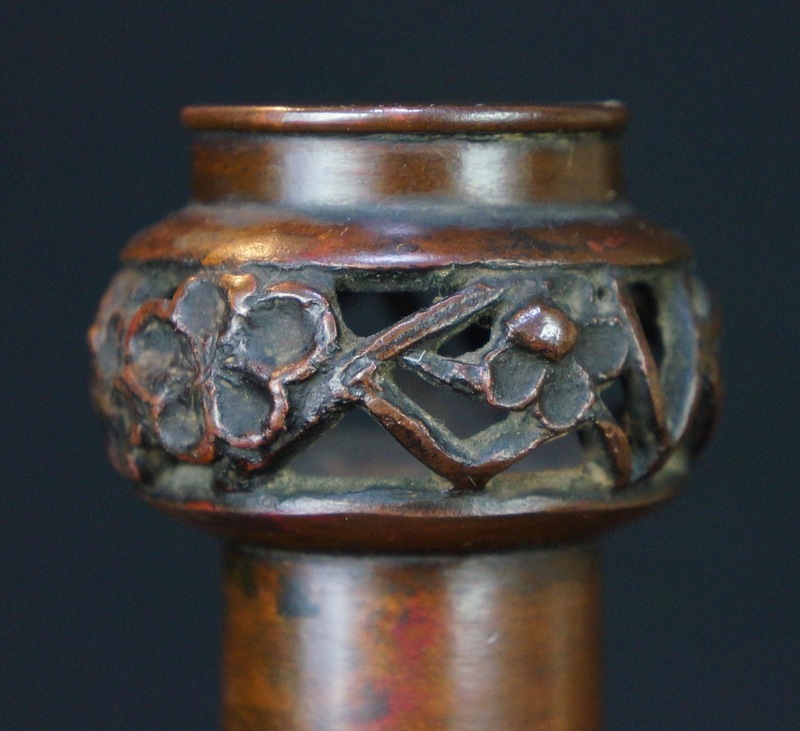 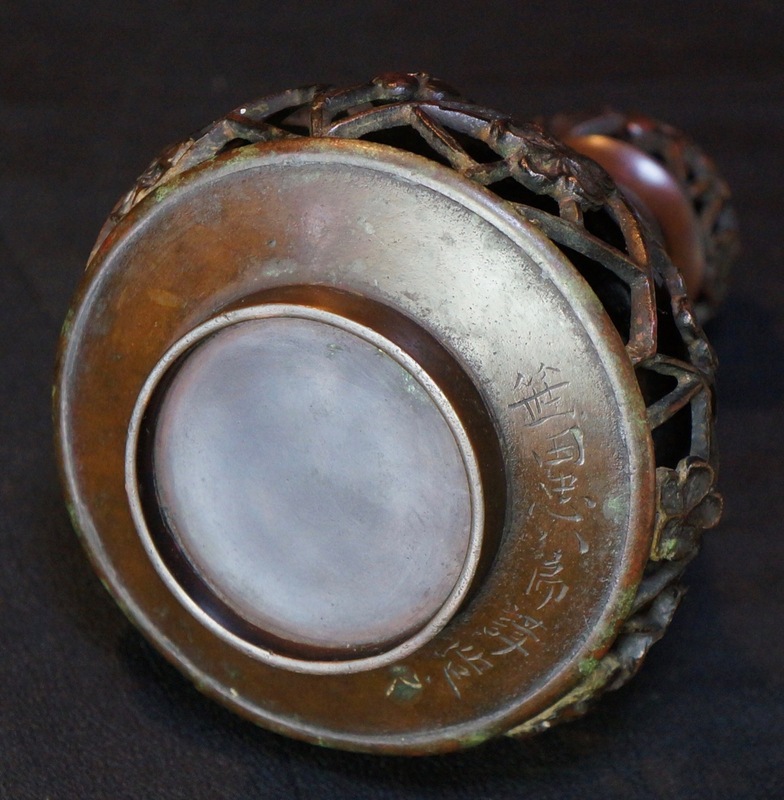 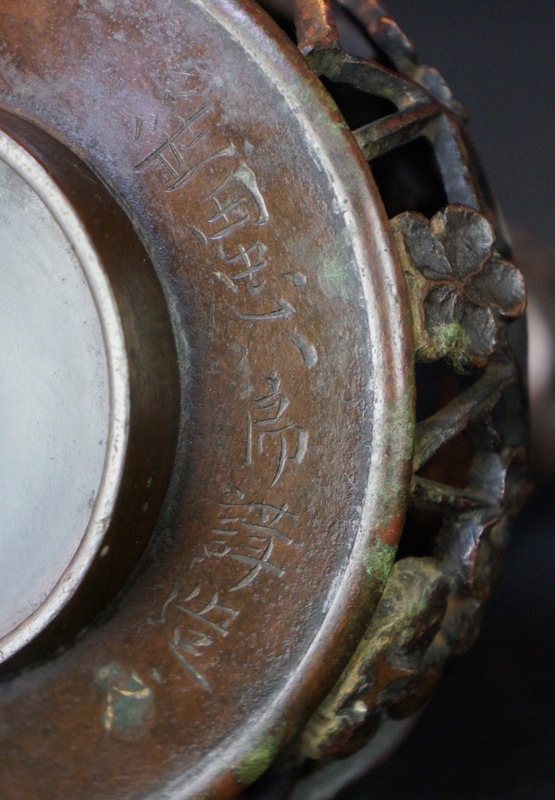 Antique Japanese Kabin bronze sculpture, decorated with geometrical Sakura motif, very nice patina and shape, inscription on bottom "made by Sasada-Chuhachi", No damages, very good conditions. 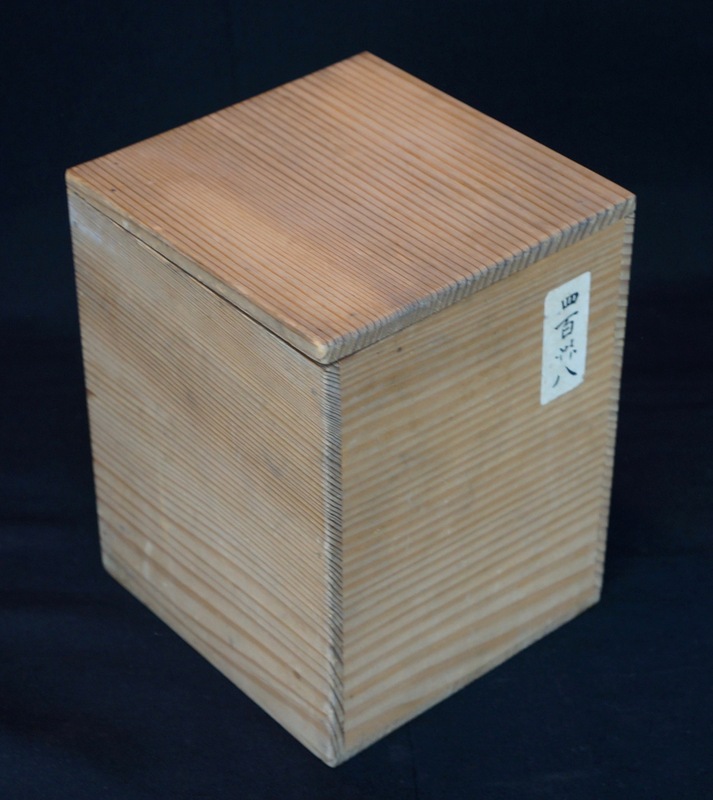 Item comes with a protective wood box. 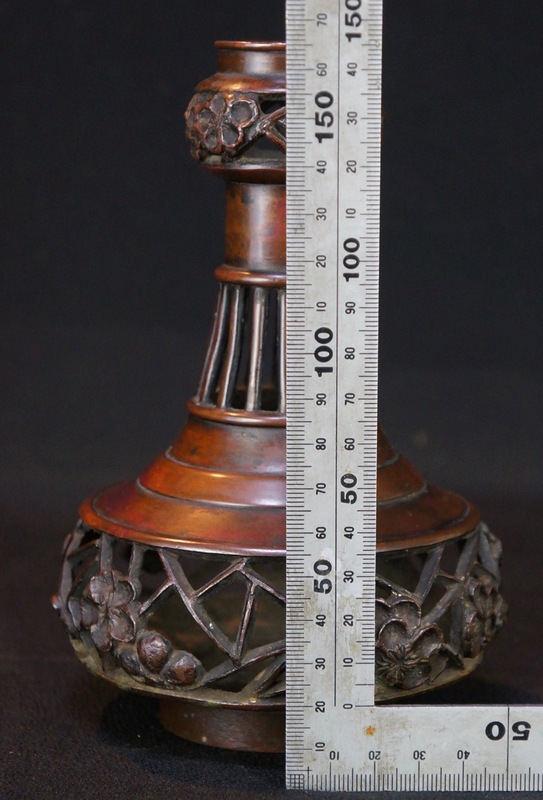 Conditions: good, light wear marks from usage and time, please see photos.